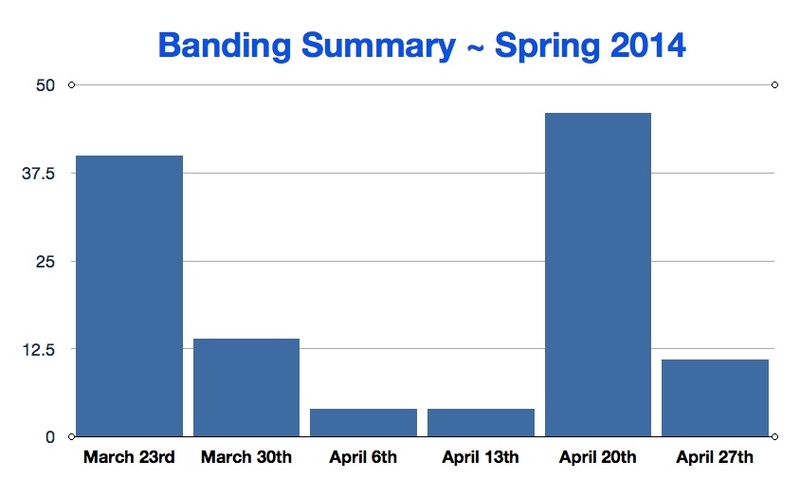 As you can see in the chart above, the lion share of the birds caught/banded were captured on 2 of the 6 days. There is a fair amount of luck involved primarily with the weather. Having the cold fronts from the north arrive the day or two before our banding days made a huge difference.